The excellent people at Tether Studios have added Hell in a Cell 2015 content to the wonderful PickSix app for iOS. So in addition to virtually betting on NFL, MLB, and League of Legends games, you can bet on WWE PPV event results. 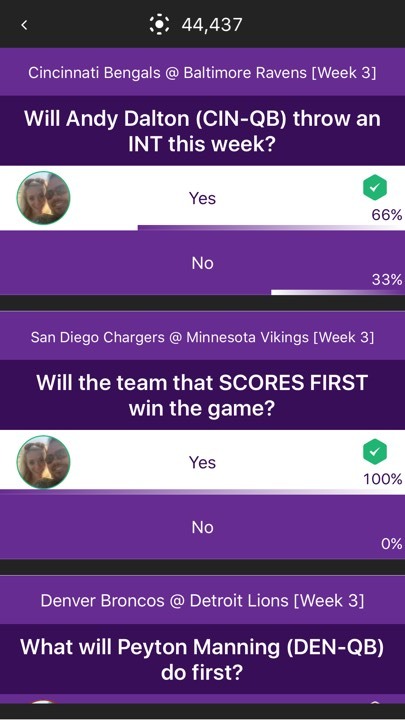 If you’re not familiar with PickSix for iOS, here’s a brief writeup on the game. If you are familiar with PickSix then I triple-dog dare you to challenge me in a round of Hell in a Cell 2015 bets. The bet questions are totally straightforward and easy to follow. You can choose individual match results by winner, pick how each match will end (pinfall, submission, DQ, etc. ), make over/under bets on the length of each match, and more. There are even some wonky bets to place, like the number of tables that will be broken in the WWE Tag Team Championship match between New Day and The Dudley Boyz. There’s even a speculative bet on John Cena’s WWE United States Championship “open challenge” opponent (I’m hoping for Daniel Bryan or Samoa Joe, but would bet on something tame, like Dolph Ziggler). Since Hell in a Cell 2015 is in Los Angeles this year, there’s a chance that part-time wrestlers like Dwayne “The Rock” Johnson and Chris Jericho will show up. Think they’ll make an appearance? Put your virtually currency where your mouth is and bet on it in PickSix! Okay, dear RPadholics. I need you guys and gals to do me a favor. 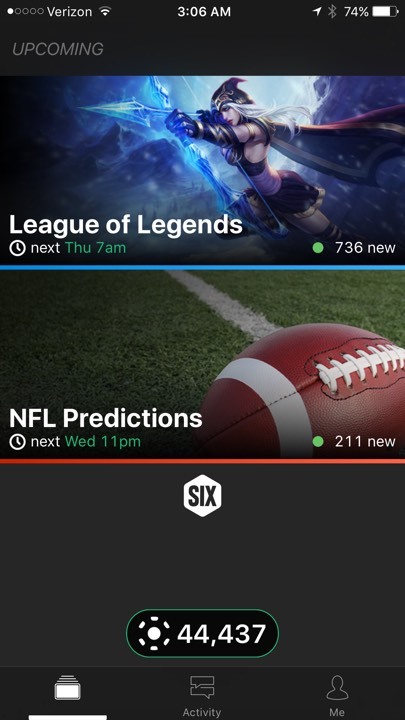 At your earliest convenience, kindly download PickSix for iOS. I don’t ask you for a lot (possibly untrue), but I would love for you to check out this app (certainly true). 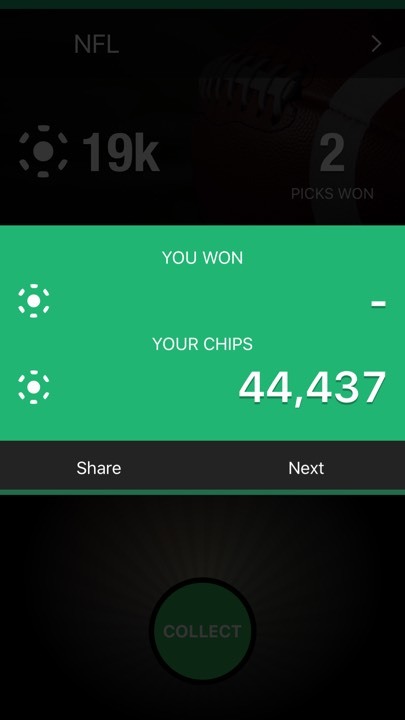 PickSix is a fun and simple fantasy pick ’em game with all sorts of possibilities. Currently, you can bet on NFL and League of Legends games, but the content opportunities are tremendous. It’s easy to envision PickSix used for the Oscars, the 2016 US presidential election, Premiere League, the MTV VMAs, etc. In some ways, the extensibility of PickSix reminds me of the versatility of QuizUp. They both use a simple core mechanic to extend the fun of existing events by adding an interactive social layer to the mix. Similarly, both apps can be used for a wide variety of topics. 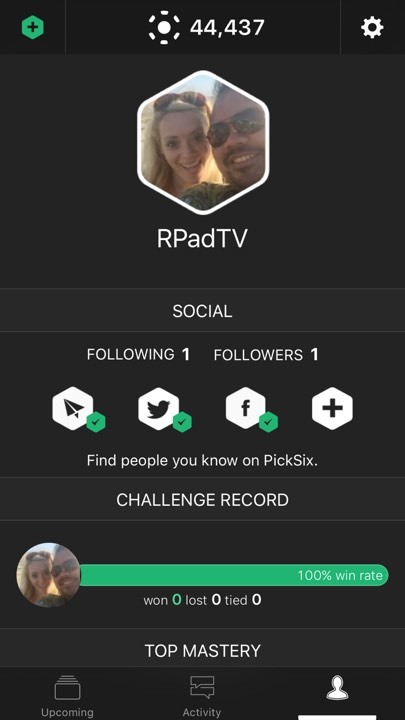 Whether it’s a small group of friends or the millions of people enjoying a particular event, PickSix can make anything more fun through gamification. Of course, I want to hear about the content you’d like to see on PickSix, but before we get to that, I need to share my nerdy idea. I’d love to see WWE PPVs on PickSix. The cards are usually set the week before the event and it would be fun betting on sports entertainment. I’m going to use the last WWE PPV, “Night of Champions,” as an example of what a WWE PickSix looks like in my (silly) head. 1) Out of the five WWE championships being contested at “Night of Champions,” how many will change hands? 2) Who will win the WWE Divas Championship match? 3) Seth Rollins is defending two championships. What will his “Night of Champions” record be? 4) How many “Night of Champions” matches will end in a disqualification? 5) How will Ryback vs. Kevin Owens end? 6) How many tables will be broken during The Dudley Boyz vs. New Day match? Obviously I didn’t give these questions too much thought, but I think you get the idea that PickSix can work for all kinds of things. Now it’s your turn! If you’re an iOS-using RPadholic, please download the game. I fully expect you to challenge me to some betting. Irrespective of your mobile OS, I’d love to hear about the content you’d like to see on PickSix. Please leave a comment below with your excellent ideas.